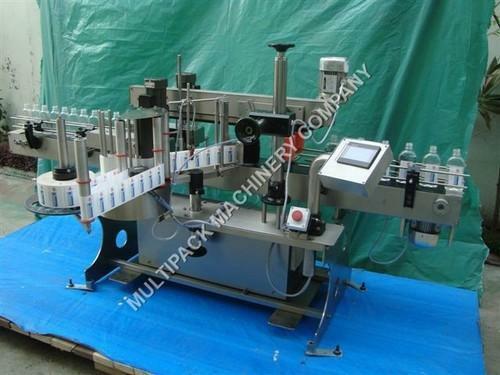 Self adhesive Sticker labeling machines are also known asLabeling Systems, Labeling Equipment, Labeling Machines, Labeler, Labeling Machinery,LabelingMachinery,LabelingMachine, Labellers,LabelingEquipment, BottleLabeling machine is used to apply labels to various products such asAmpoules, Vials, Bottles, Jars, Container, Canisters, Cartons, Boxes, Caps packages etc used such industries likePharmaceuticals, Cosmetics, Chemical, Food, Beverage, Pesticides, Gifts, Agriculture, Electronics and many more. The machine is suitable for Labelling on unstable small diameter round objects. It is capable of Labelling up to 120 units per minute depending on product diameter and label size. 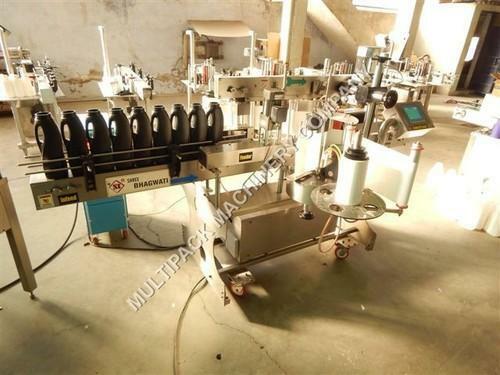 Machine suitable for Round Ampoules, Vials, Pre-Fill Syringes, Inhalers and other Small Sizes of round objects. Machine with Optional Product feeding hopper for regular shaped round objects for continues feeding. The Automatic Vertical Sticker Labelling Machine Model LABELSTIK-100, is suitable for labelling on Round Vials and smaller size of Bottles. The Machine incorporates latest sophisticated Micro Processor Control Label Dispensing system with user friendly Sensing system for Label and Product. It is capable of Labelling up to 100 units per minute depending on product diameter and label size. Machine suitable for Vials and Small Sizes of Bottles from Glass, Plastic, PET, HDPE, PP etc. with speed range of 40 to 100 products per minute. The Sticker Labelling Machine LABELSTIK-100 has its own unique single point synchronised speed control system. The Inbuilt Automated Label Length detection systems eliminates any need for manually feeding and storing of Label Length data in memory and retrieving the same every time for change of Label Size & re-starting the machine. The System thus saves valuable time, avoiding machine-down time, and helps achieve higher production. 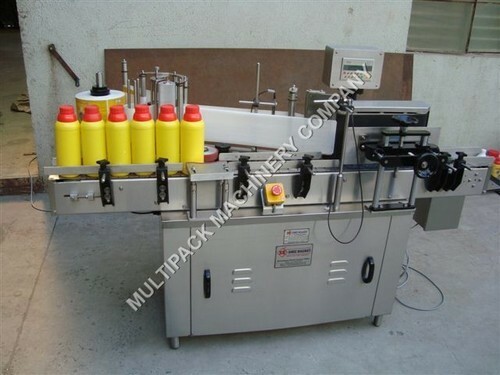 We are the manufacturer and supplier of Flat Bottle Sticker Labeling Machine (Front and Back) . Machine with Full SERVO Controlled Twin Label Dispensing System fully synchronised with all operations including Product Conveyor, Feed Worm, Infeed-Exit Star Wheel and Label Dispensing for optimum labelling accuracy, it also helps to change the labelling speed online with the help of Single Speed Pot provided on control panel. Power : Power : 2.0 Amp. Speed : Up to 120 Labels per minute depending on Product and Label Size. The speed is also depending on stable movement of product on machine conveyor at higher speed. We have established a strong foothold in the arena by offering most affordable and reliable Double Side Sticker Labeling Machines. It is ideal for applying front and back labels on various containers such as; flat, oval, square and round shape. Our experts made this machine keeping various needs of the arena using ultra modern technology and tested. 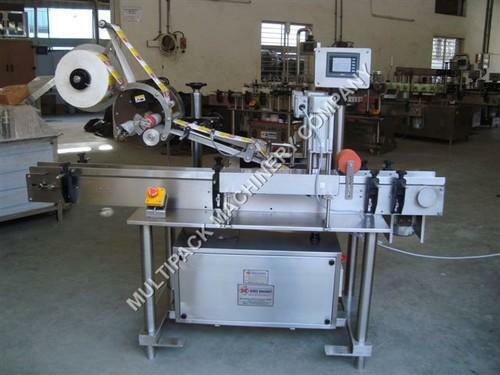 Looking for “Labeler Machine For Bottle”?